The concentration camp commando unit Kaufering VII was established between July and September 1944. The internees of this camp were survivors of the concentration camp Auschwitz, different ghettos in Lithuania and the ghetto in Warsaw : they were Jews from all European countries. Men had to live in huts made of boards that were put together to resemble a roof. The constructions were then covered with soil and gravel. Women were herded together in the still remaining under ground bunkers of the camp. Within the camp women were isolated in a special women’s camp. The concentration camp internees had to build the railway that should run around Landsberg, and they had to work in the ready-mixed concrete construction plant called “Erich” that belonged to the company “Held and Franke” in Friedheim. In September 1944 two transports with a thousand internees each were sent from the commando unit Kaufering VII to Auschwitz . On October 25, 1944 another one with 471 internees followed. They were all sent to the gas chambers there. 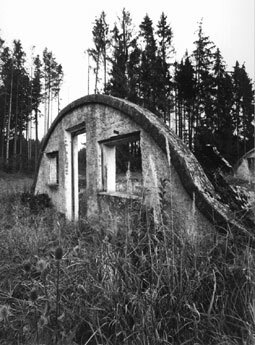 In January 1945 Kaufering VII developed into a typhoid camp. Care for the sick was not an option and so the number of dead rose dramatically. 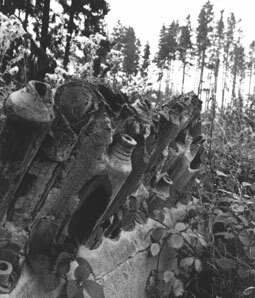 On April 24, 1945 the SS cleared the camp . The survivors were sent on a death march to Bad Tölz via Dachau. Remains of the concentration camps´ underground bunkers: 150 women were crowded together here in a very small space. Some of the concentration camp’s under ground bunkers of the women’s camp survived to this day and the citizens´ association achieved that they were listed on a historic register. They are the last ones of their kind. 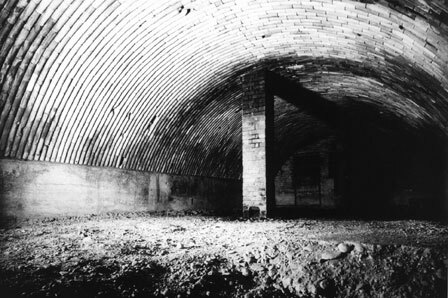 Their style of construction is unique and only known from the concentration camp commando unit Kaufering.